2013 sees the release of two very different rival consoles. The Xbox 720 and the PS4. With the Xbox720 already being covered, (here’s a link for anyone who would like to read it https://pwnersmanual.wordpress.com/2013/01/14/special-report-xbox-720-the-latest-stage/) it’s time to focus on the, soon to be, arrival of Sony’s PlayStation 4. 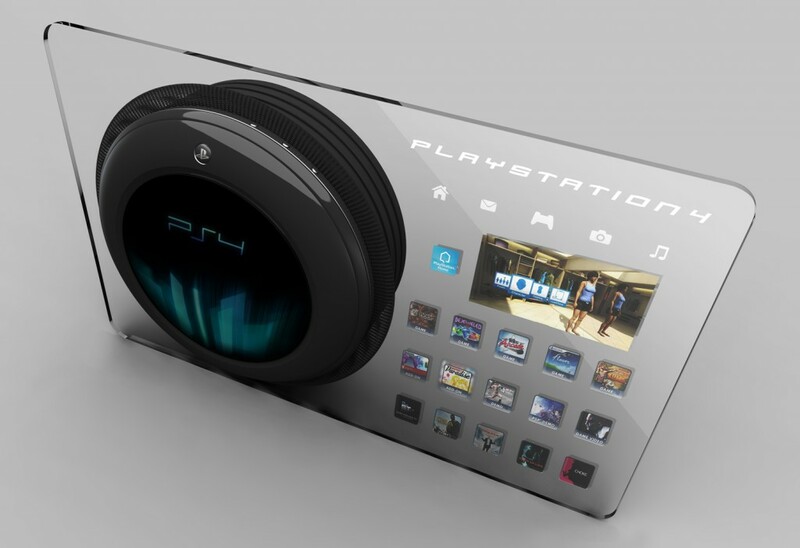 Rumours are speculating that Sony are to hold an “apple-like” event to announce the PS4 to the world. In order to have an “apple-like” event you will need a main speaker, a conference with people in the respecting field and the all important press for publicity. The annual Game Developers Conference (GDC), being held on the 25th to the 29th March 2013 (expo dates 27th to 29th March) in San Francisco California presents the perfect opportunity for this. Although, there is still the possibility of the announcement being made around 11th to 13th June at E3 in Los Angeles in California. Whenever the announcement happens all eyes will be awaiting to see if Sony have decided to continue with the 18 button DualShock controller they are known for globally. If this does happen it could drastically change not only the video game business for Sony but also other companies will await the reviews. If they drop the DualShock controller for an LDC touchscreen will this then lead to an impact on future Xbox’s and game consoles? With the 720 also being released this year it does not look like Microsoft will make any similar drastic changes soon. the world was able to lay it’s eyes on this; what is known to many as the first of the ubiquitous PlayStation series. By March 31, 2005, the PlayStation and PSone had shipped a combined total of 102.49 million units, becoming the first video game console to reach the 100 million mark. Every time Sony add on to the PS family they make certain that they continue to push limits and boundaries. 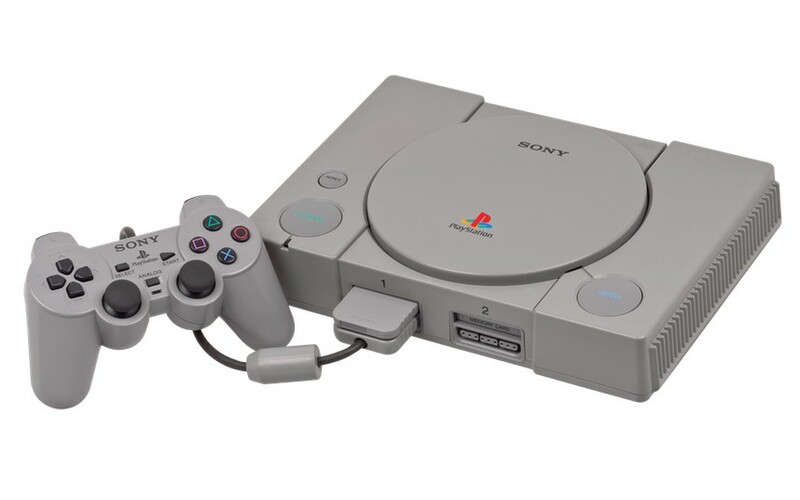 The original PlayStation really does own it’s title as a “classic” and has given many children and adults great memories of continuous hours of game play. The image on the left is taken from the “Official PlayStation 4 Magazine” website, a link will be at the bottom of this post. This does seem impressive and clearly shows the modern menu, which we have seen on other PS consoles, along with several options. The image on the right is taken from the website “Geeky Gadgets”, again a link will be at the bottom of the post. Here we do see the DualShock controller but what is interesting is it’s built around a screen. This would certainly allow for better cross play experiences especially between the already great consoles PlayStation 4 and PS Vita. Featuring a touch screen would certainly raise competition with the WiiU. Whatever it will look like people are speculating biometric sensors, a processor with a run-capability of 1.84 teraflops, if this sparks true it will be 50% more powerful than Xbox 720. A downside is one rumour sees the PS4 ignore the possibility of backwards compatibility and focusing firmly on the next generation, this means if you want to continue playing PS3 games it’s best, for now, to keep hold of your PS3. You never know one day it could be useful for vintage gaming. If the PlayStation 4 real name changes to become known as Orbis or Omni. Whenever it is released, possibly December 2013, Sony will not disappoint and release another great console ready for gamers and PS fans everywhere to have many fun hours of game play on. One of Japan’s biggest newspapers, the Asahi Shimbun, has run an interesting story they hint towards the new PlayStation 4 will cost over 40,000 Yen, or about $430/£270/€320. Interestly they only converted the price from Yen into $, perhaps Europe may have to wait a little longer for the PS4. For more on this story see ‘The Verge’ link below. Don’t forget to check our website and this blog for new posts daily! Digital Trends (2013) PlayStation 4 drops the DualShock controller after 15 years | Digital Trends. 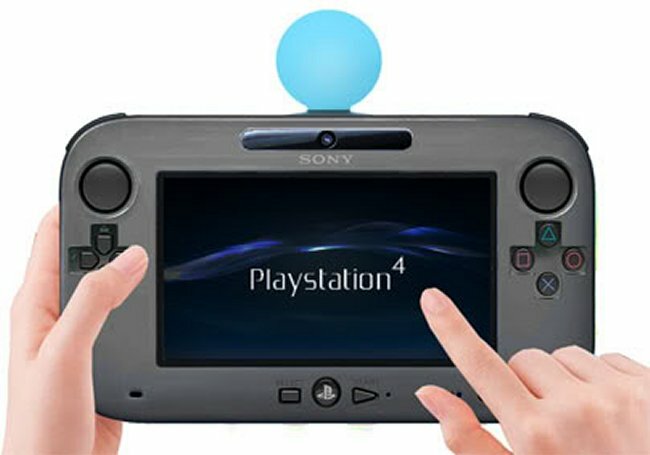 [online] Available at: http://www.digitaltrends.com/gaming/playstation-4-drops-the-dualshock-controller-in-favor-of-a-new-wii-u-style-dna-sensing-pad/ [Accessed: 19 Jan 2013]. GDC (2012) Game Developers Conference. [online] Available at: http://www.gdconf.com/ [Accessed: 19 Jan 2013]. Geeky Gadgets (2013) PlayStation 4 Controller To Have A Touchscreen? . [online] Available at: http://www.geeky-gadgets.com/playstation-4-controller-to-have-a-touchscreen-19-01-2013/ [Accessed: 19 Jan 2013]. Offical PlayStation Magazine (2012) PS4 News – Official PlayStation Magazine. [online] Available at: http://www.officialplaystationmagazine.co.uk/2012/01/30/ps4-sony-ceo-says-we-will-probably-be-the-last-to-announce-something/ [Accessed: 19 Jan 2013]. PS4 (2013) PS4 Site – Playstation 4. [online] Available at: http://www.ps4site.com/ [Accessed: 19 Jan 2013]. Square, P. (2013) Which of These PS4 Controller Mock-Ups Is Your Favourite? – Push Square. [online] Available at: http://www.pushsquare.com/news/2013/02/which_of_these_ps4_controller_mock_ups_is_your_favourite [Accessed: 8 Feb 2013]. Tech Radar (2013) PS4 release date, news and rumours. [online] Available at: http://www.techradar.com/news/gaming/consoles/ps4-release-date-news-and-rumours-937822 [Accessed: 19 Jan 2013]. Telegraph (2013) PlayStation – Sony’s gaming highs and lows. [online] Available at: http://www.telegraph.co.uk/technology/picture-galleries/9776067/PlayStation-Sonys-gaming-highs-and-lows.html [Accessed: 19 Jan 2013]. The Guardian (2013) PS4 rumours: ‘50% more powerful than Xbox 720’. [online] Available at: http://www.guardian.co.uk/technology/gamesblog/2013/jan/18/xbox-720-ps4-rumours [Accessed: 19 Jan 2013]. The Verge (2013) PlayStation 4 report suggests $400+ price . [online] Available at: http://www.theverge.com/2013/2/6/3961512/ps4-price-and-release-date-in-asahi-shimbun-report [Accessed: 7 Feb 2013]. After much speculation last year, particularly at E3 (a major gaming event in Los Angeles California), Microsoft have released details of an announcement about the Xbox 720 is due in March 2013. Please note all information on this page is based on sourced, reasonable speculation or/and rumored features. There are many assumptions to be found based on the successor, such as exactly what it will feature, the price and release date/month. They have decided to go against announcing the arrival at this year’s E3 (Electronic Entertainment Expo) event, which is held on 11th to 13th June 2013. Instead in March an “Apple-like” event is to be held where they will announce Xbox 720 (code-name speculations include ‘Durango’ or ‘Kryptos’) to the world, and clearing up rumors once and for all. (Update: Kazuo Hirai, CEO of Sony, has announced today (21st January) that it will let Microsoft make the first move. This could lead to Microsoft announcing the all new 720 at the annual Game Developers Conference in San Francisco, California held on 25th to 29th March. On the day of the announcement Pwnrsmanual will post a special blog featuring all the latest news. The, soon to be a classic, Xbox 360 was launched in 2005 over 7 years ago, then retailing at $400 – around £279.99. With many Xbox games soon to be released on the 720, ‘Pocket-lint’ quote “Halo developer Bungie’s next game, a MMO first-person shooter called Destiny, will be released in Autumn 2013 for Xbox 360 and…the Xbox 720”, could this be the first game for 720? One thing can be certain; all eyes will be on Microsoft Xbox at this year’s E3 event as they can rightfully show off the highly anticipated creation. (Update: 17th January 2013 – Ubisoft have announced a new release date of August 2013 for the latest addition of the ever popular game ‘Splinter Cell’. It will be called ‘Splinter Cell: Blacklist’, where we will see the return once more of Sam Fisher. Could this new release date (originally announced ‘Spring 2013’) hint at a release date around October/November 2013? This will allow for people to still buy their game, which is available now to pre-order for Xbox360, PS3 and PC and save up some money for the console. This does seem to be the ultimate conclusion with the “future of user input” ,it is hard to consider that they do mean something else. Some other additional features which would be great I personally think are, Blu Ray, more powerful than before, HD graphics, exclusive games, a large hard drive and reasonable pricing. Christian Post (2013) Xbox 720 Release Date Set for June 11, Specs to be Revealed at E3 2013. [online] Available at: http://www.christianpost.com/news/xbox-720-release-date-set-for-june-11-specs-to-be-revealed-at-e3-2013-87822/ [Accessed: 14 Jan 2013]. Examiner (2013) Xbox 720 specs and games revealed. [online] Available at: http://www.examiner.com/article/xbox-720-specs-and-games-revealed [Accessed: 14 Jan 2013]. Gameranx (2013) ‘Xbox 720 and PS4’ Set for a Reveal Near GDC In March – Rumor. [online] Available at: http://www.gameranx.com/updates/id/12001/article/xbox-720-and-ps4-set-for-a-reveal-near-gdc-in-march—rumor/ [Accessed: 14 Jan 2013]. Gamespot (2013) PS4, Xbox 720 announcements in March?. [online] Available at: http://uk.gamespot.com/news/ps4-xbox-720-announcements-in-march-6402358 [Accessed: 14 Jan 2013]. Gamespot (2013) Xbox 720, PS4 could start at $350. [online] Available at: http://uk.gamespot.com/news/xbox-720-ps4-could-start-at-350-says-analyst-6402356 [Accessed: 14 Jan 2013]. IGN (2012) What E3 2012 Told Us About Xbox 360’s Future – IGN. [online] Available at: http://uk.ign.com/articles/2012/06/15/what-e3-2012-told-us-about-xbox-360s-future [Accessed: 14 Jan 2013]. Now Gamer (2012) PS4 Launching October, Xbox 720 November. [online] Available at: http://www.nowgamer.com/news/1764494/ps4_launching_october_xbox_720_november_analyst.html [Accessed: 14 Jan 2013]. Pocket-lint (2013) Bungie Destiny contract reveals Xbox 720 will arrive in 2013 – E3 announcement? – Pocket-lint. [online] Available at: http://www.pocket-lint.com/news/45744/bungie-contract-reveals-xbox-720-for-2013 [Accessed: 14 Jan 2013]. Tech Hunter (2012) New Xbox Features Rumours Surface Through Microsoft’s Leaked Report. [online] Available at: http://www.techhunter.co.uk/gadgets/new-xbox-720-features-leaked/02629/ [Accessed: 14 Jan 2013]. The Guardian (2005) Xbox 360 UK price. [online] Available at: http://www.guardian.co.uk/technology/gamesblog/2005/aug/17/xbox360ukpri1 [Accessed: 14 Jan 2013]. Video Gamer (2013) Rumour: Xbox 720 and PlayStation 4 to be revealed. [online] Available at: http://www.videogamer.com/news/rumour_xbox_720_and_playstation_4_to_be_revealed_around_gdc_in_march.html [Accessed: 14 Jan 2013].